Styled with trent jacket . Made with a matte satin that drapes beautifully, this dress is as comfortable as it is flattering. The shift dress has a dropped waist and a subtle flounce that feels feminine — perfect for all those things you have to go to this season. Love the material, style, colour and fit. 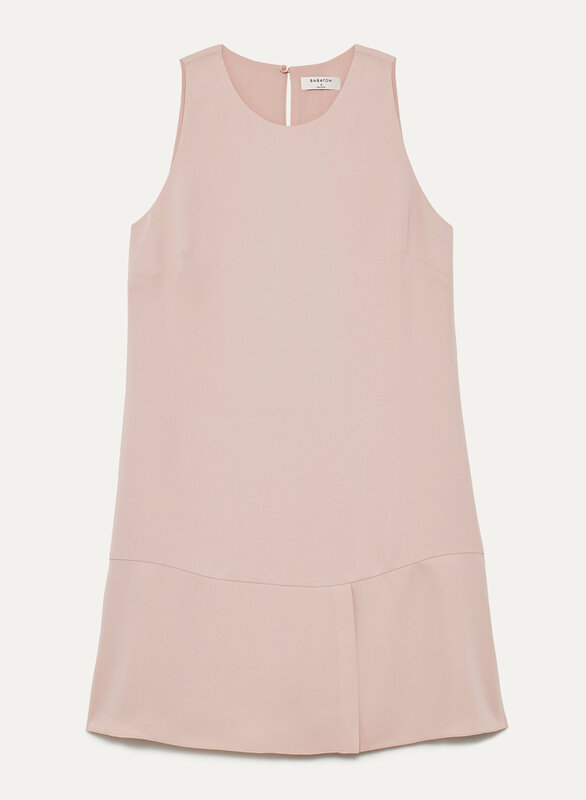 A lovely, comfortable dress that can be dressed up or down depending upon the occasion. I purchased one in black and then went back to get the blush pink. Yummy.